Berkeley, CA â€“ 13 October 2011 â€“ Soon, a comic book odyssey will reach it’s final conclusion. 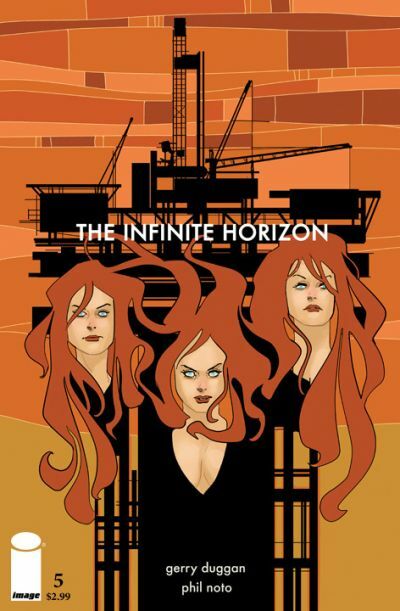 The much anticipated finale of THE INFINITE HORIZON, the critically acclaimed Image Comics miniseries created by writer Gerry Duggan and artist Phil Noto and based on Homer’s The Odyssey has finally returned. In just a couple weeks, the penultimate issue of their futuristic story of a war-weary soldier will arrive in stores, with the final issue completed and ready to ship out on time in November. THE INFINITE HORIZON takes place in the not-too-distant future and begins with a small group of abandoned soldiers being led home by one man: The Captain. To get back, he’s had to cross half the globe and endure deadly encounters with many enemies including the Cyclops, the Sirensâ€¦ and the last breaths of a great and horrible war. Now that the final two chapters of this epic are upon us at last, there will be many new dangers on the last leg of The Captain’s journey home! Now he must avoid the siren song of a post-apocalyptic cult and summon all of his remaining strength for one final, bloody battle to save his wife and son from criminals. 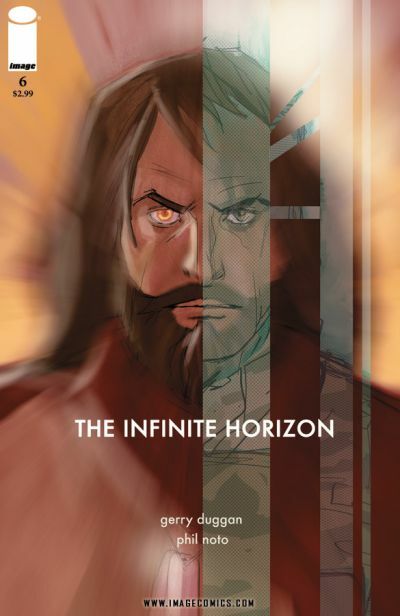 THE INFINITE HORIZON #5 (AUG110430), a 32-page full-color dramatic war epic for $2.99, will be on sale in stores October 26, and THE INFINITE HORIZON #6 (JUN082262) is available for order now in the November issue of Previews. Issues #1-4 are also available for reorder now.